Now in its second edition, the Oxford Handbook of Neonatology PDF is the essential user-friendly guide for all healthcare professionals involved in the care of newborns. Accessible, practical, and updated with the latest evidence, this is a key resource designed for use at the cot-side. Taking a valuable family-centered approach to neonatal care, this is the essential resource for all healthcare professionals working with newborns, from the undergraduate medical student to the doctor on the ward. The Oxford Handbook of Neonatology PDF 2nd edition is the latest addition to the master world of Oxford Handbooks. This book focuses entirely on the subject of neonatology and provides the doctor with all the cases, complications, and presentations a neonatologist should know well about. This is a must buy book for aspiring neonatology. Download it here for an overview. Grenville Fox has been a consultant neonatologist at the Evelina London Children’s Hospital (Guy’s & St.Thomas NHS Foundation Trust) since 1996, where he has been clinical lead/clinical director since 2000. He graduated from the University of Leicester and trained in paediatrics and neonatology in London before completing a Fellowship in Neonatal/Perinatal medicine at the University of Toronto. He has research interests in neonatal respiratory care and has a number of publications in this area. Nicholas Hoque is a neonatologist working at the Evelina London Children’s Hospital. He graduated from Imperial College School of Medicine and was awarded a PhD in Neonatal Neurology from the University of Bristol. He has worked and trained in many centres of excellence including Great Ormond Street, Birmingham and Bristol Children’s Hospitals, and the University of California San Francisco. He has published original research in peer-reviewed journals, presented internationally and produced content for textbooks. He has sat on several committees at the Royal College of Paediatrics and Child Health. 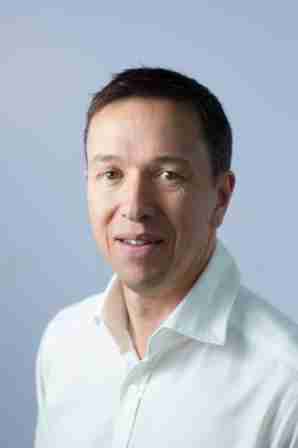 Tim Watts has been a consultant neonatologist at Evelina London Children’s Hospital since 2001 and clinical lead since 2011. He graduated from University of Western Australia and underwent paediatric and neonatal training in the UK. He has an interest in neonatal infection and neonatal haematology, obtaining his MD at University of London on the subject of thrombocytopenia in the preterm baby. He has contributed to a number of neonatal medical and nursing textbooks. This is a great bible for neonatal care and one that I have referred to again and again. It is easy to use and full of interesting facts. Would recommend this book for everybody specializing in Neonatology… very informative and instructive and has paid for itself in educating me. Excellent book. There’s plenty of information to help you in the ward. The quick reference index helps to find various conditions and informs what you should do. 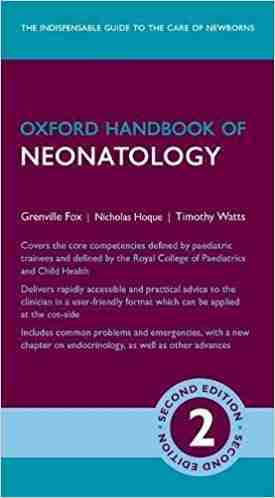 Below is a Download Link for the Oxford Handbook of Neonatology PDF 2nd Edition file. Click it to start you free download of this masterpiece.